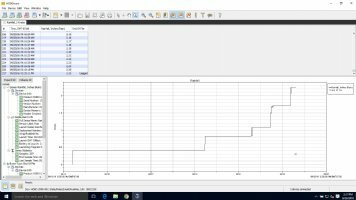 The 260-WS-2501 Data Logging Rain Station is a battery-powered rainfall data collection and recording system consisting of a battery-operated event logger with built-in display and an 8" tipping-bucket rain gauge. 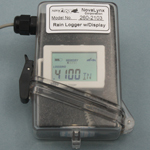 The 260-WS-2501 Data Logging Rain Station is a battery-powered rainfall data collection and recording system consisting of a battery-operated event logger with built-in display and an 8" tipping bucket rain gauge. 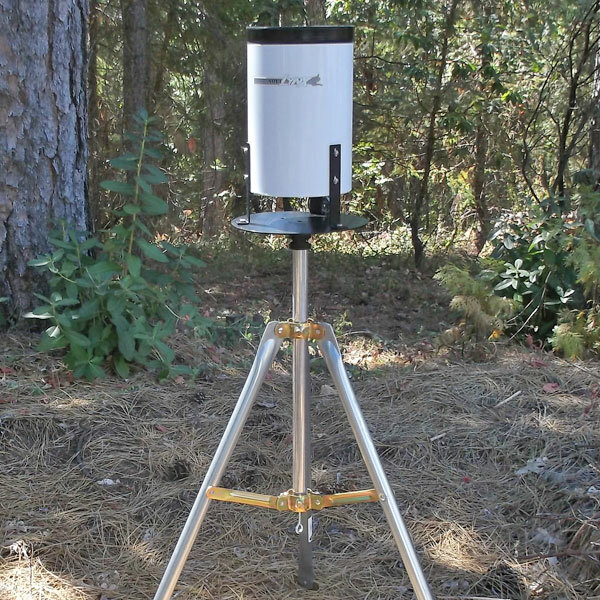 A 3' tripod with sensor mast and mounting hardware is included. 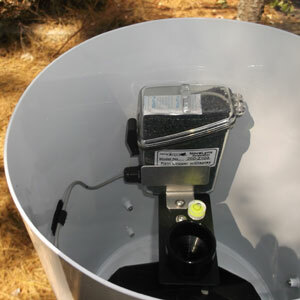 The 260-2501-A Tipping Bucket Rain Gauge was designed for the National Weather Service to provide a reliable, low-cost tipping bucket rain sensor. It has been updated and improved with the addition of an inner funnel to even the flow of rainfall into the gauge, providing better accuracy at higher rainfall rates. 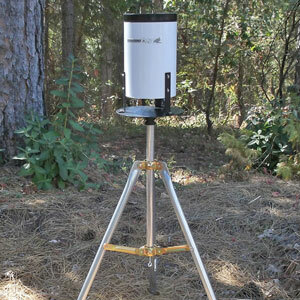 Its simplicity of design assures trouble-free operation, yet provides accurate rainfall measurements. 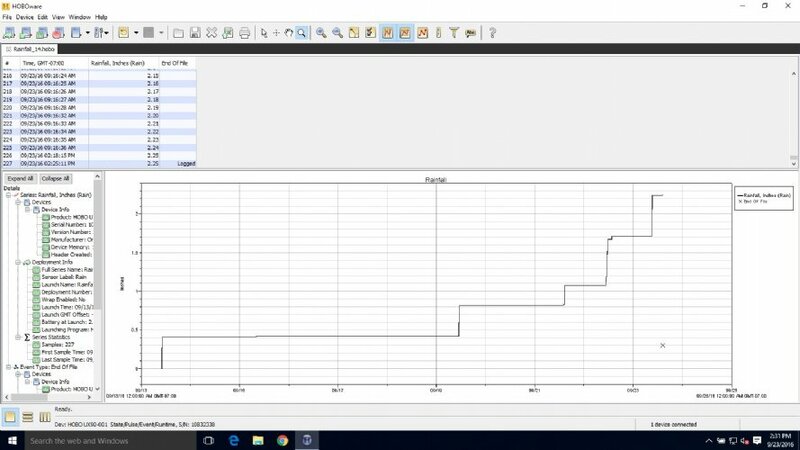 The tipping bucket mechanism activates a sealed reed switch that produces a contact closure for each 0.01" (0.25 mm) or 1 mm of rainfall. The gauge has an 8" orifice and is manufactured of powdercoated an anodized aluminum. 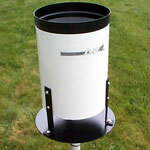 The funnel screen prevents debris from entering the gauge.